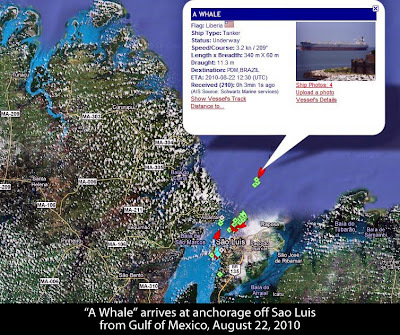 "A Whale" exhausted her "15 minutes of glory", failing miserably as a "Super Oil Skimmer." 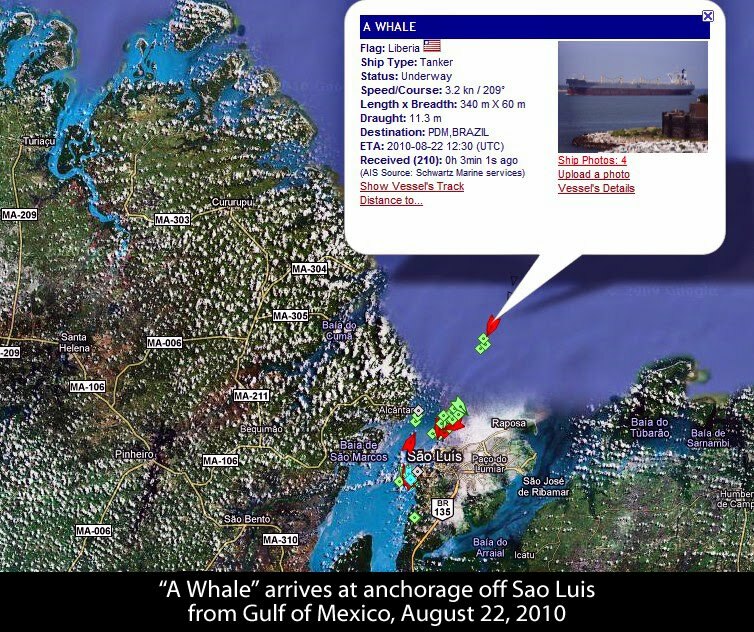 In early August, she rejoined her sisters "B Whale" and "C Whale" as a Very Large Oil/Ore carrier (VLOO). 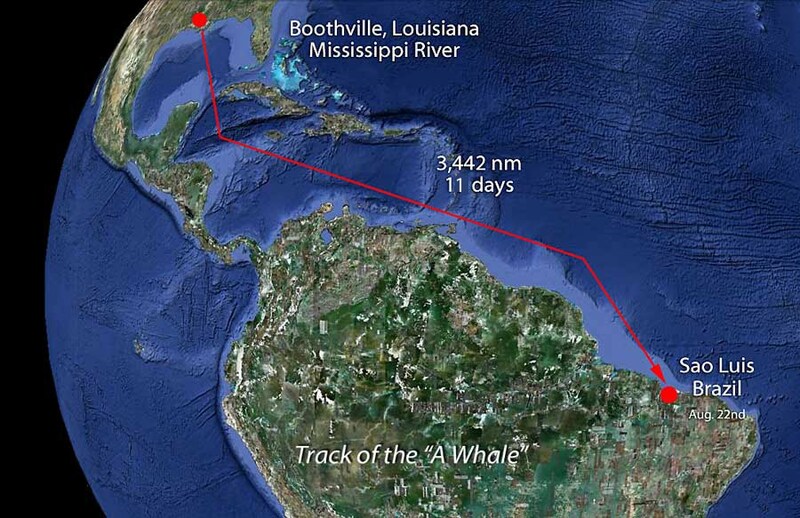 Weighing anchor, she departed anchorage at Boothville, Louisiana, and without fanfare or news coverage, slipped quietly down the Mississippi River into the Gulf of Mexico. 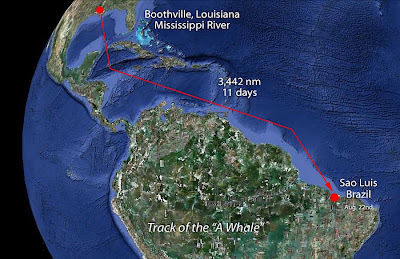 Eleven days and 3,442 nautical miles later, "A Whale" arrived at Baja de Sao Marcus Roadstead, Brazil on August 22nd. There she joins a number of vessels waiting for berth space at Vale's Ponta da Madeira terminal, the eastern terminus of the Estrada de Ferro Carajas Railway (EFC). Brazil was discovered by the Portuguese in 1500. By 1530, colonization had begun, with Germans and Italians joining in. 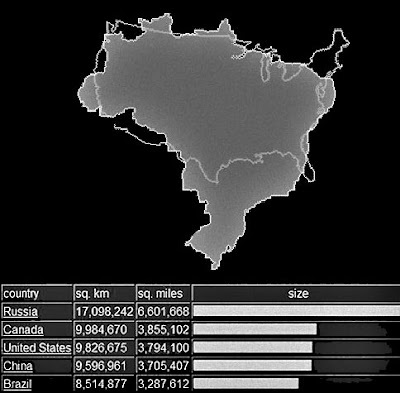 Brazil is the fifth largest country in the world, as measured by both size and population. She has a rich railroad history, heavily influenced by Europeans. To stabilize the floundering rail transport system, the government nationalized the roads. 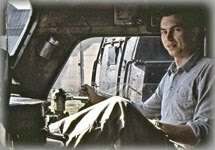 However, over time, this proved problematic for the Government. Concessions were granted for a period of 30 years. Renewal of the concession to be based on the operator's performance in meeting the goals and objectives of the concession. Companhia Vale do Rio Doce (CVRD) was created in 1942 from the assets of the Itabira Iron Ore Company. By the 1950's, the company began on the path of becoming one of the leading exporters of iron ore in the world. Moreover, by acquiring Canada's Inco in 2006, Vale became the world's second largest mining company behind Australia's BHP Billiton. The beautifully simple "V" monogram evokes a landscape of mining and geographic elements, with Brazil's national flag colors, green and gold, representing nature and wealth. 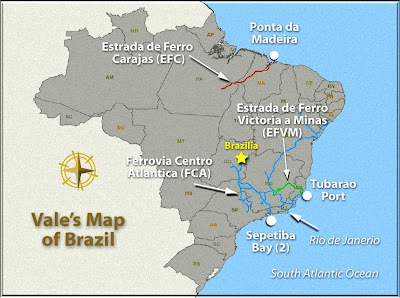 Links the Southeastern System mines in the Iron Quadrangle region in the Brazilian state of Minas Gerais to the Tubarão Port, in Vitória. 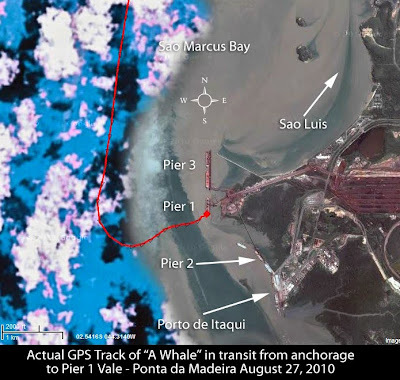 EFVM terminates at Brazil's largest deep-sea terminal, Tubarão Port, located near Vitória. 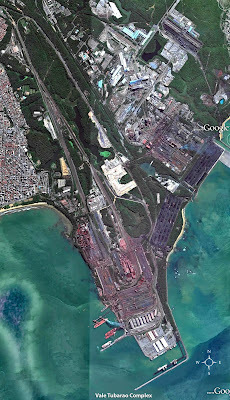 Tubarão Port covers an area of 7 square miles (18 km²), and consists of four terminals including Vale's iron ore maritime terminal. Vale's iron ore Maritime Terminal has two piers. Pier I. Two ship loaders can load a combined total of 14,000 metric tons per hour. It can accommodate two vessels at a time, one of up to 170,000 DWT on the southern side and one of up to 200,000 DWT on the northern side. Pier II. One vessel of up to 365,000 DWT, limited at 66 feet (20 meters) draft plus tide. Loaders that work alternately, can each load two ships up to 16,000 metric tons per hour. The line has a daily capacity of 301,000 metric tons of iron ore.
EFC also carried 342,665 passengers in 2009. The EFC begins at the Carajás iron ore mines, extending 892 kilometers (554 miles) to the Ponta da Madeira (PDM) maritime terminal complex facilities located near Sao Luis. PDM maritime terminal can accommodate four vessels alongside three piers. Pier I. Vessels displacing up to 420,000 DWT, maximum loading rate of 16,000 tons per hour. Pier II. Vessels of up to 155,000 DWT, maximum loading rate of 8,000 tons per hour. Pier III. Two berths and three ship loaders can accommodate vessels of up to 220,000 DWT, maximum loading rate of 8,000 metric tons per hour per ship loader. Cargo shipped from PDM consists principally of iron ore production. Other cargoes include manganese ore, copper concentrate, nickel, and pig iron produced by Vale, and pig iron and soybeans for unrelated parties. On August 27, the "A Whale" received instructions from the Vale Terminal Dispatcher, to clear the anchorage at Baja de Sao Marcus Roadstead and proceed to Pier 1 at Vale's PDM Deep Sea Loading terminal. 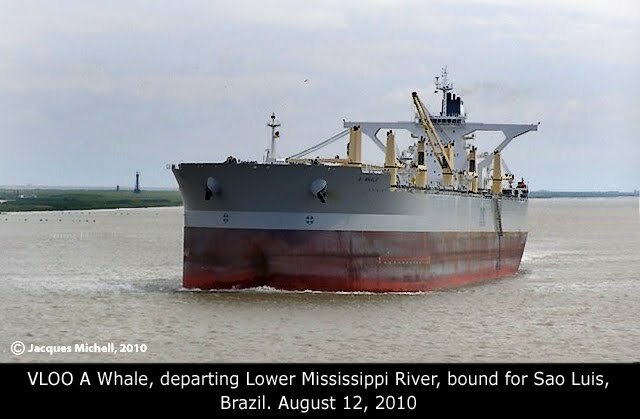 There the "A Whale" would begin loading 300k tones of iron ore, brought by rail from Vale's Carajas Minas N4, located more than 800 kilometers (500 miles) into the Amazon rainforest.